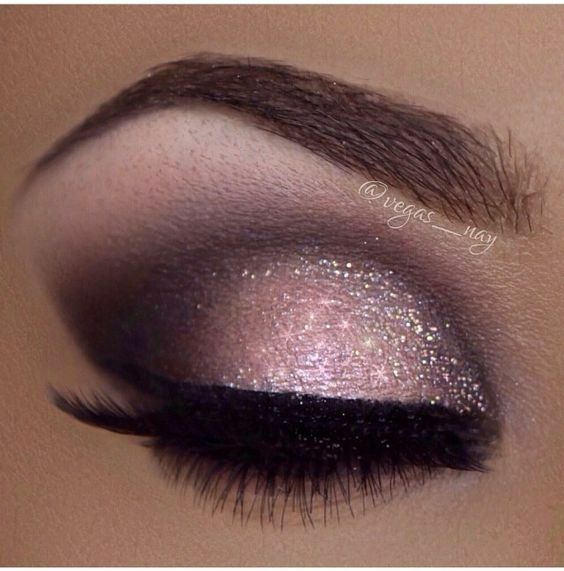 Like This: Eyeshadow should be an important element of your everyday makeup routine. 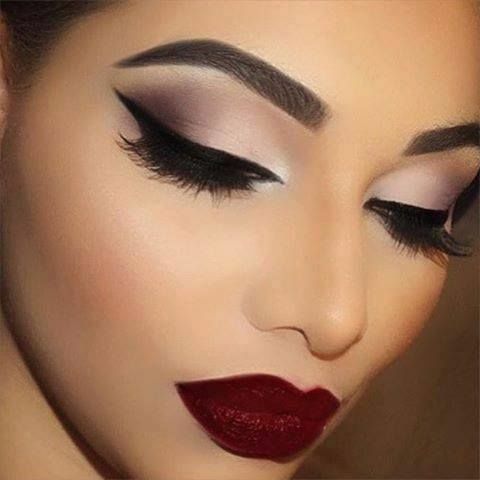 It is an incredibly versatile makeup product; dark eyeshadows can create a dramatic smoke eye look for a night out on the town, while bright, colorful, and glittery eyeshadows are great for a party and eyeshadows in more neutral colors can be the perfect addition to any everyday look. viahadow is a significant part of a full face 0f makeup; it brightens your eyes and causes them to stand out as a focal point of your face. Plus, eyeshadow is fairly easy to apply, even for most makeup beginners. However, eyeshadow blending can take some practice and might be difficult to get the hang of at first. It’s a vital part of applying eyeshadow because unblended shadows appear obviously choppy. If you believe you could use some pointers on eyeshadow blending, read on to learn how to blend eyeshadow smoothly and seamlessly every time you apply it. 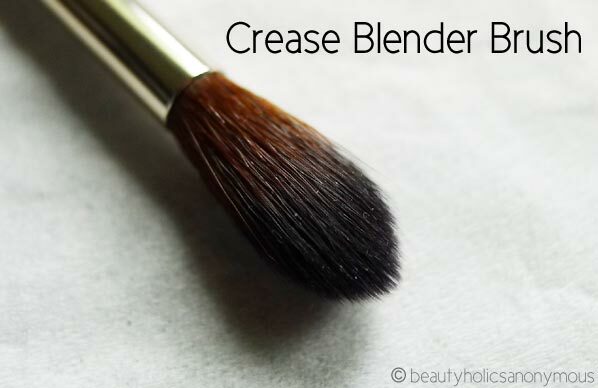 The amount of pressure you put on your brush while applying eyeshadow can make or break whether or not it turns out to be sufficiently blended. If you layer your entire eyelid with heavy applications of eyeshadow, it will be difficult to blend the layers of the colors you apply together without creating a messy or muddled look. Instead, you can apply different amounts of pressure to your brush when applying eyeshadow to different areas of your eyelid in order to make it easier for you to smoothly blend the separate colors you apply together. 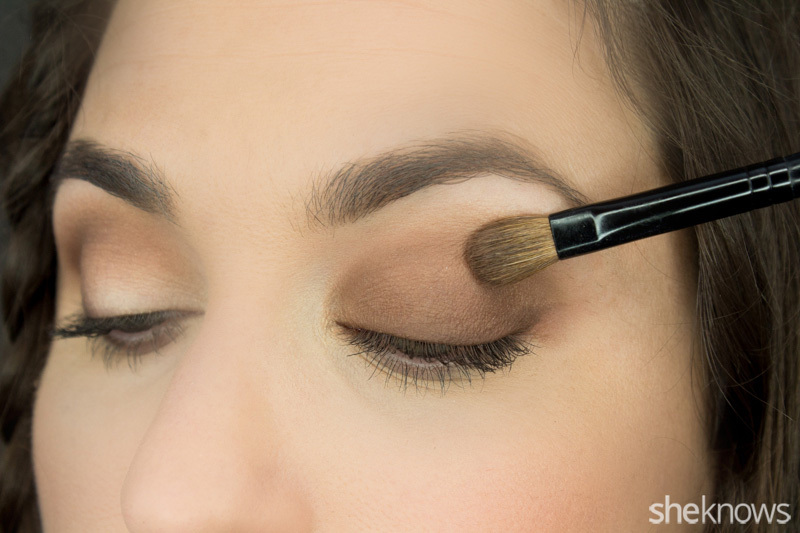 Apply a small amount of pressure on your brush when applying eyeshadow above your crease. Use more pressure to build intense color within your crease and as you blend outward toward the outer edge of your eye. Apply a mid amount of pressure as you sweep eyeshadow from the inner corner of you eye to the middle of your eyelid. By regulating the amount of pressure you apply to your brush while applying eyeshadow, you will make things much easier for yourself when you start trying to blend your colors as well as end up with a smoother look overall. If you’re someone who likes a more neutral look and often only use one shade of eyeshadow for a look, that doesn’t mean you have an excuse to not blend. Even if you don’t apply separate eyeshadow colors and only use one at a time, you still need to blend the eyeshadow into your skin so that it looks smoother and more natural. To blend one color of eyeshadow into your skin, use a large blending brush to blend the eyeshadow up toward your brow bone and outward toward your inner corner and outer edge of your eye. 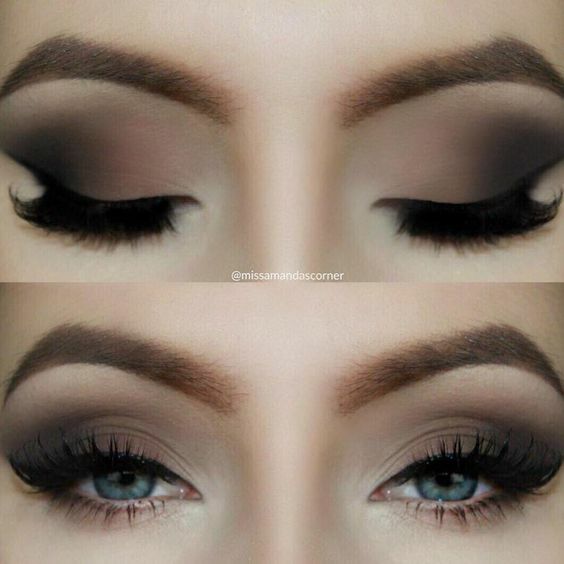 Make sure that you blend the eyeshadow past your crease up to your brow bone even if you are only using one color. 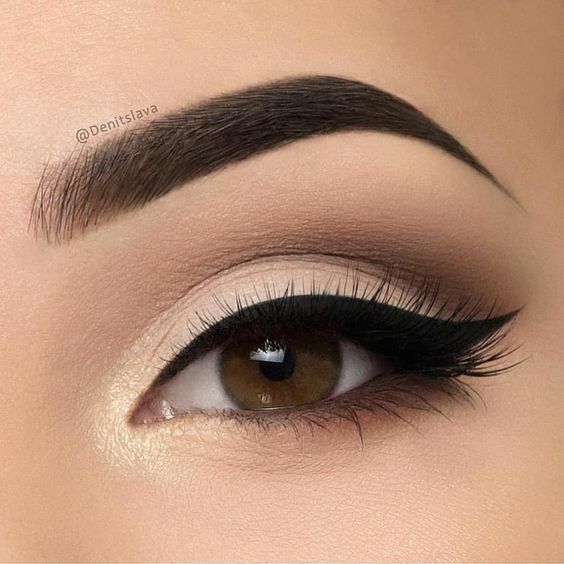 If you don’t blend your eyeshadow up toward your brow bone, it will turn out looking choppy and disconnected and can make your eyes appear bulgy. However, if the shade of eyeshadow you are using is too dark to blend up to your brow bone, don’t blend that up past your crease. Instead, it might be time to add another color to your routine in a light neutral shade like white or cream to blend up to your brow bone. There are countless eyeshadow brushes available on the current makeup market. 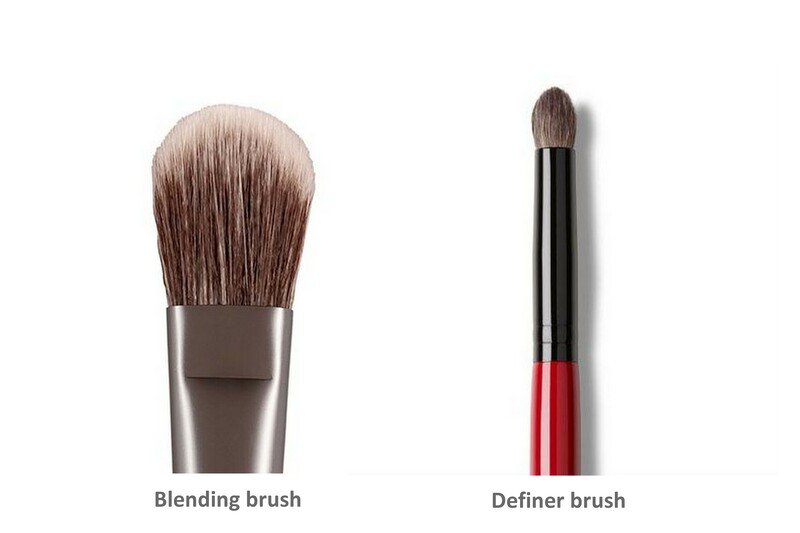 However, foreyeshadow blending purposes, you really only need two brushes: a smaller, more sturdy blending brush and a larger brush with looser fibers. Use the larger sweep brush to blend eyeshadow into your crease and to swirl your colors together as you move upward from your crease to your brow bone. Use the smaller blending brush to blend the eyeshadow in the inner corner of your eyelid toward the middle of your eyelid and to blend eyeshadow that is sticking and difficult to budge. Washing brushes can be a hassle and is never anyone’s favorite task. However, it is also extremely important. If you do not wash your eye makeup brushes and then attempt to blend your eyeshadow after using the brushes to apply different colors for a previous look, you’re going to end up with a mess that looks muddy and discolored. You should wash your eyeshadow blending and application brushes with warm water and a mild soap every time you use them for dark or vibrant colors that are likely to transfer to your eyelids and mess up your next look when you use them again. Professional makeup brush shampoo works most effectively with minimal effort. 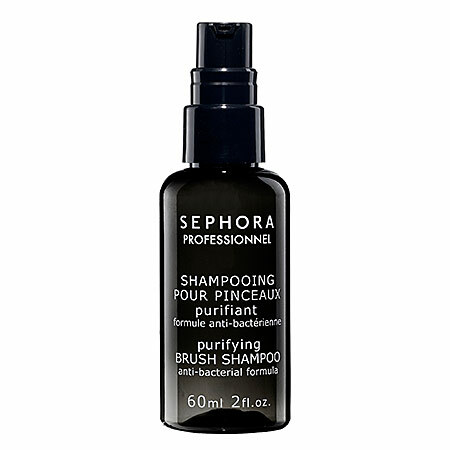 An excellent professional makeup brush shampoo is the Sephora Collection Purifying Brush Shampoo . However, makeup brushes do take a significant amount of time to wash and to dry. If you forget to wash your eye makeup brushes and need to blend your eyeshadow immediately, do not panic. In a pinch, you can get by with rubbing your brushes back and forth on a light-colored hand towel. When both sides of the brush stop leaving a mark of the previous color they were used to apply on the towel, they’re good to use without fear of transferring old color onto your eyelids and messing up your new look. While this method is handy, it should never act as a replacement for actually washing your brushes. Regularly washing your makeup brushes is important for keeping your hygiene up and preventing irritation or even infection. 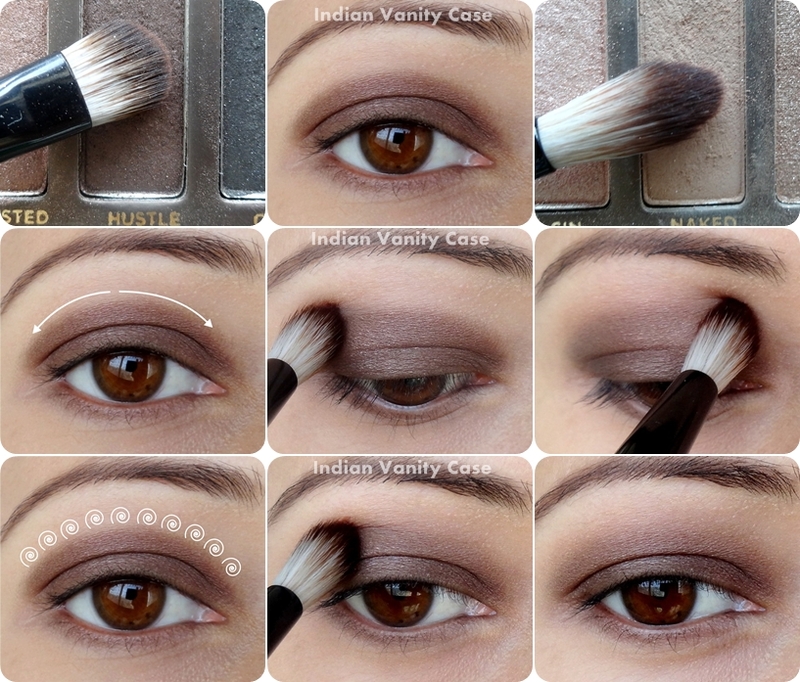 Blending the crease of your eye is one of the most difficult parts of blending your eye makeup. Your crease should be the place where you apply the darkest eye makeup, so it can be hard to blend it correctly to ensure that it connects smoothly with the rest of your eyeshadow and does not look choppy or too dramatic. 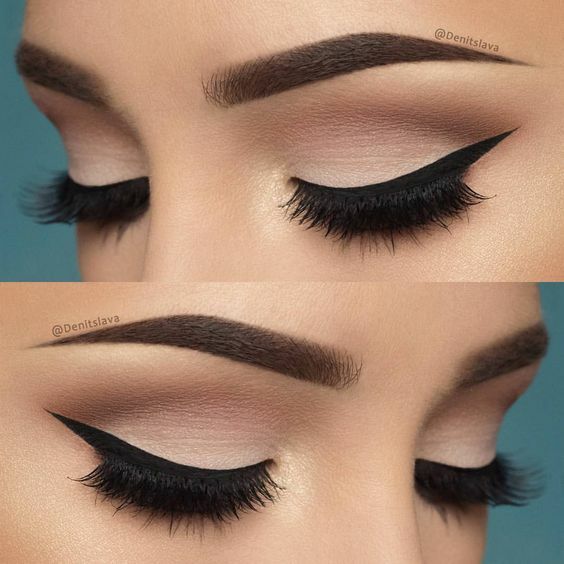 When you first apply eyeshadow to your crease, draw a sharp line with the eyeshadow that traces your crease from the outer edge of your eye until you near the inner corner of your eye. To blend the choppy, excessively severe line you’ve just applied, swirl a larger blending brush in little circles starting from the outer edge of your eye and blending inwards until the colors look smooth and connected. Blending your eyeshadow is an extremely important part of applying eye makeup that looks smooth and sophisticated. By using the tips described above in this post, you can ensure that you always blend your eyeshadow correctly to create a smooth and seamless finish for every look. If you found this post is useful, why not share it with your friends? Find more fashion trends and beauty tips on pinkiou.com!